The Royal Mansour is the replica of an old Medina, with shady pathways winding between its 53 individual private riads. The accommodation is organized over two sumptuously decorated floors, topped with a roof terrace and private plunge pool. A perfect expression of attention to detail and elegance with magical array of fabrics, silks, carpets and carved ceilings. Riad-only hotel with 3 floors of luxury, including a roof terrace with a chimney and a private plunge pool. Two fine-dining restaurants (Moroccan and French), created by Michelin-starred chef, Yannick Alléno. 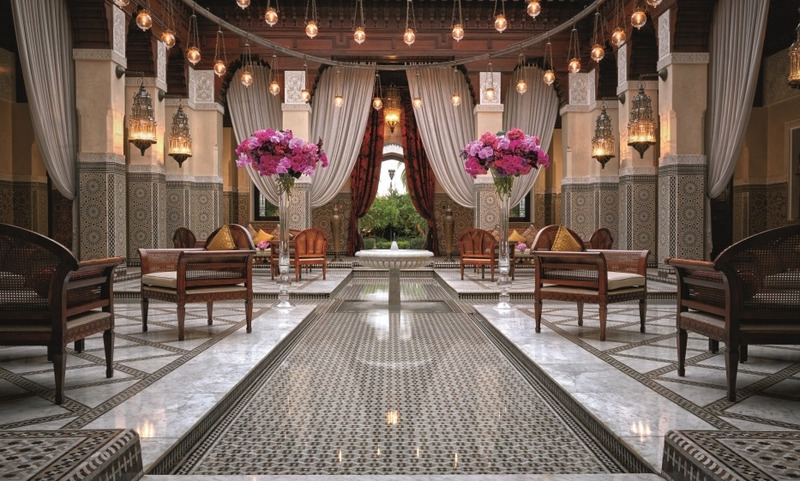 Our stay at the Royal Mansour was beyond a regular hotel experience. You are surrounded by a palatial atmosphere and stellar service in the public areas though if you do decide to stay in the privacy of your spacious 3-floor riad, you are not going to miss anything. Even the staff maintain your by using the staff service entrance in the riad! If I had to rate my overall experience from 0 to 10, our experience with Royal Mansour would be an 11 - because many details, decors, service are, as I mentioned before - beyond that of a regular hotel experience.